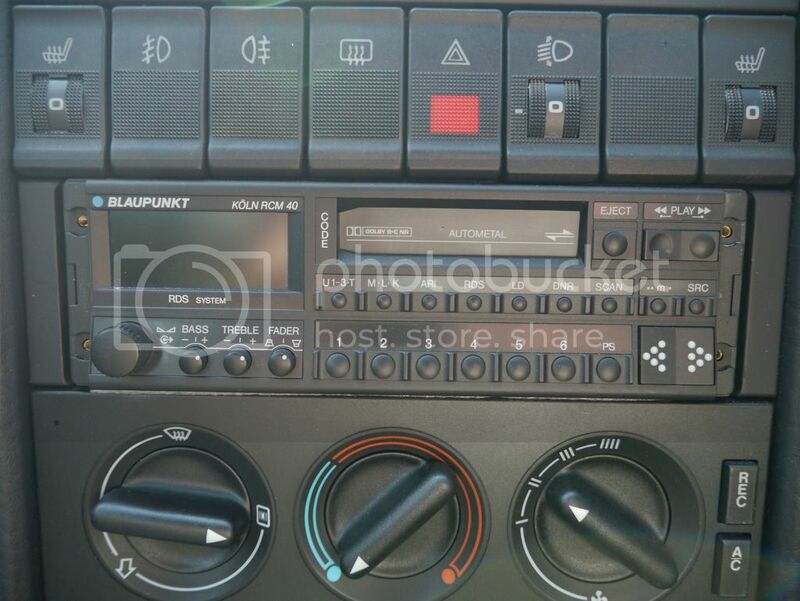 Classic Audi » Technical » Mech/Tech » In-Car entertainment » Blaupunct Koln 40 Removal. Morning chaps,as above i'm trying to remove the stereo but i only have 3 flat key types and none of them work. Has anyone taken one of these out and knows what key to use and maybe a link to it? Ive looked on google and here to no avail. Thanks in advance. I think you are looking at a pair of these, in the small brass ? holes either side of the unit. Nice try David but those holes are for this part/stupid handle part i broke. so was it the handles that you used to pull the set out of the dash ? You would think so but no,it's purely for decoration. I mean, it doesn't do what you expect a handle to do. One has to remove the handle to reveal the 2 thin slots for the right flat bladed key to insert and remove. Simples, you would think, but 3 hours later i'm still no further forward! Mark, have you tried jiggling the radio from behind? On my 90 you could release the glove box so i swung down out of the way and then it was possible to get your hand to the back of the radio to help getting it out. I take it you tried tugging on the little handles ? Wondering if, and given Audi and some others awkwardness you remove the little handles, poke in think blades, 3/4" long ? Then unit pops out a bit and screw handles back on, tug and it pops out ? I'd be for popping of the 2 trims at either side? Just been out there Royston to check,opened the glovebox and could not gain any access that way. If i removed it completely then i'm sure i could gain access but all it needs is the key for the slots either side of the stereo.Some one on here must have removed this very stereo or the Bremen which has the same handle and key slots arrangement arrangment. Agreed mate but i still will need the security key to remove the stereo.